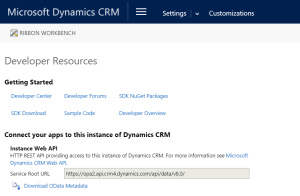 PowerBI is a great BI tool that I wanted to use with Microsoft CRM 2016 Online. 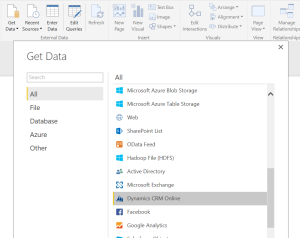 Unfortunately, the connection information provided in PowerBI is out of date and trying to connect to Microsoft CRM 2016 Online gives the following OData error if you use the recommended OranizationData method. This is how I got it to work. 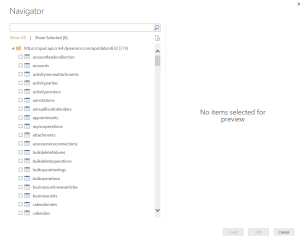 The Office 365 log-on screen is then presented and you enter your Office 365 credentials.